Starting in Juneau and finishing in Anchorage, Alaska. John Muir a famous American explorer spent some time in Alaska many years ago and made the comment that in all your travels you should leave Alaska to last because nothing else will compare with its grandeur and beauty. 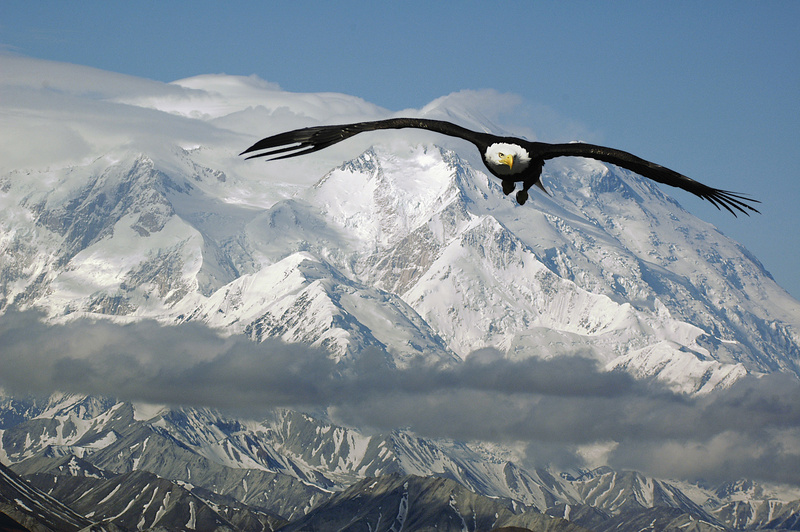 David Metcalf visited Alaska twice in 1979 and 1981, and fell in love with this mighty land. Having travelled to many countries since, he can fully understand what John Muir was getting at. David Metcalf and Mark Rayner will lead a their third photography expedition to this incredible place in September 2019. September is off-season, but the trees are changing and it is not too cold so there are plenty of great opportunities to photograph wildlife with fewer people around to get in our way. 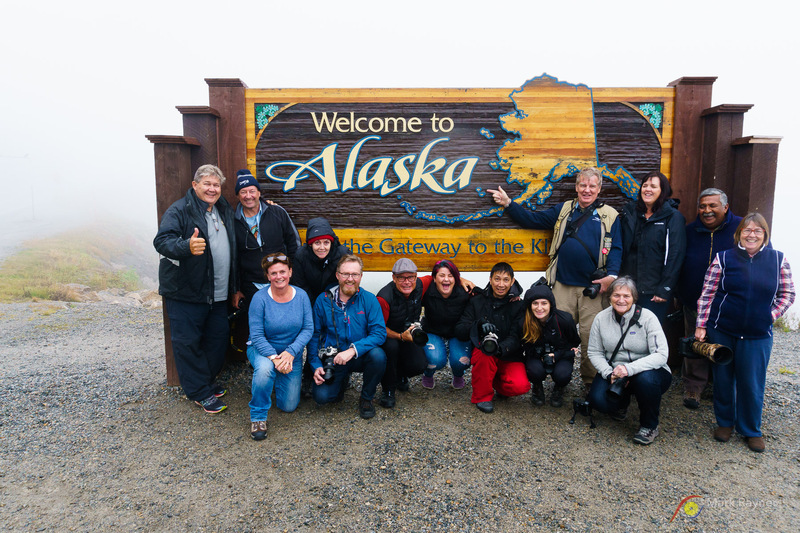 ALASKA: WHALES, WILDLIFE AND GLACIERS – Photography Tour Sept 10 – 21 2019. There are few places in the world with the unspoiled wilderness, mountainous grandeur and immense wildlife that is Alaska. 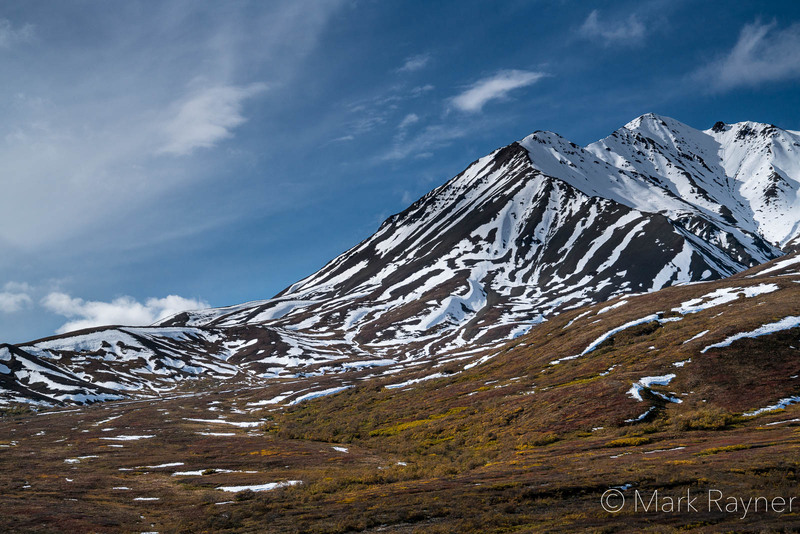 David Metcalf and myself will be taking our third photography tour to Alaska and we are more excited than ever before. For those interested in wildlife photography and landscapes so vast and varied that it seems they are beyond the scale of comprehension, then this is the workshop for you. Alaska is so incredibly huge with a coastline that is enough to circle the globe one and a quarter times, 33,900 miles of oceanic coastline to be exact! Whilst we will not be able to see all of this in 12 days we have picked out a route that will take in many of the highlights of this beautiful country, and a feast of incredible variety to photograph. The workshop begins in the states capital - Juneau , the most beautiful city in Alaska on September the 10 th. This trip is perfect for beginners, seasoned pros or just passionate photographers with a love for wildlife and extraordinary scenery that will take your breath away. Get ready to photograph majestic whales as we cruise by boat around spectacular waterways, focus your zoom lenses on bald eagles as they majestically sore above the glacier carved mountains. 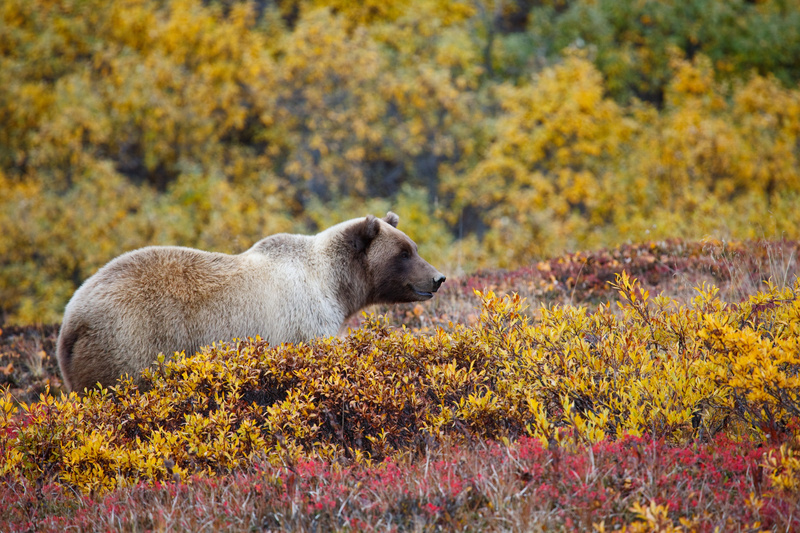 We will go bear spotting on Admiralty Island, which has the highest populations of bears in Alaska. There are 1500 brown bears on this island so the shutters will be in overdrive as we photograph these magnificent creatures. We will travel by ferry as we explore the stunning waterways of this part of Alaska, and head up to Haines and Lynn Canal, North America’s longest and deepest fjord. 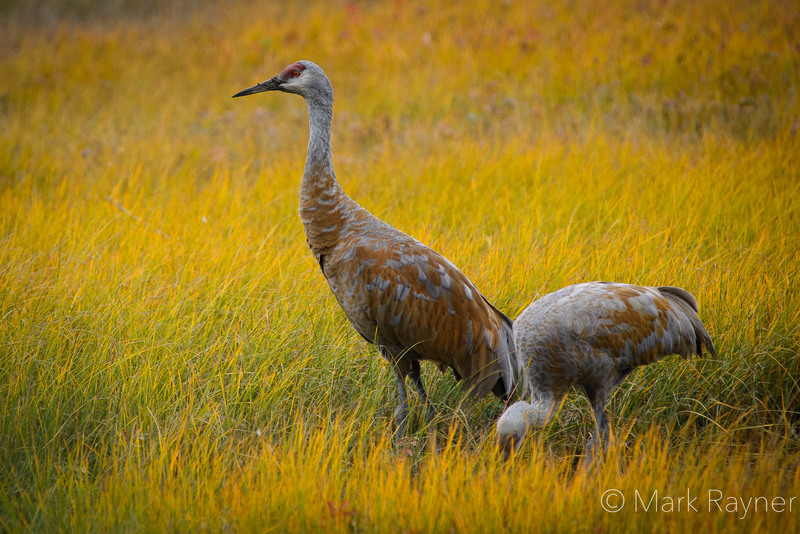 As we travel from Juneau to Anchorage you will have plenty of opportunities to get tips and instructions from Mark and Dave on photographing landscapes and wildlife. This will be amazing experience and one I am sure you will never forget. 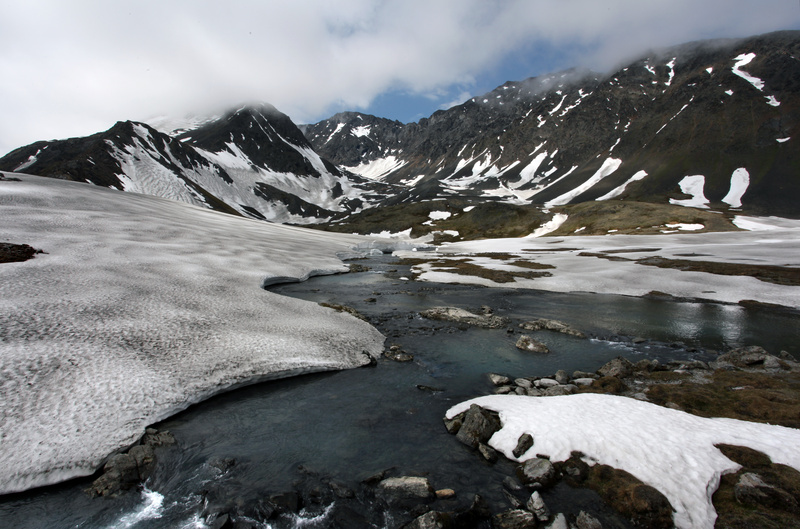 Alaska is an extraordinary place and one of the last great wilderness frontiers of the world. 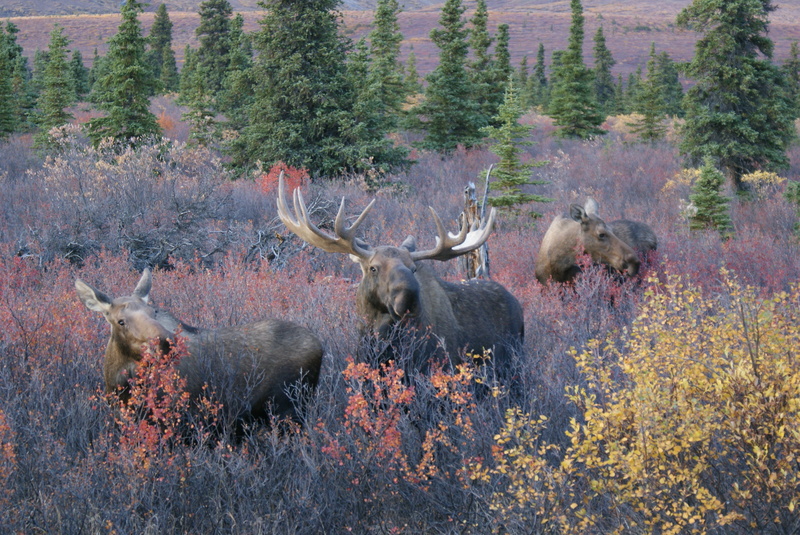 There are few, if any, places with the unspoiled wilderness, mountainous grandeur and immense wildlife that is showcased in Alaska. But don’t listen to me come and see for yourself. Group meets in Juneau, Alaska at the Hotel (yet to be determined) at 4 pm. Today we head by boat to Tracy Arm where we will see our first glaciers and icebergs. This all day trip will give us plenty opportunities to photography Whales, Seals, Puffins, Eagles, Sea Otters and other marine wildlife. That night we will dine on salmon and rich Alaskan seafood on the waterfront in Juneau, reviewing the amazing photos captured that day. This historic town, which was very much impacted by the gold rush of the 1880”s, and the town swelled to 40,000 residents heading to the Yukon with Gold fever. This was once a lawless frontier town but things have changed, and now it is the gateway to the Yukon. After a visit to the Klondike gold rush national park historical park and a good insight into the history of the town we will visit the ghost town of Dyea, and photograph the surrounding area. Today already we bring you one of the tour highlights as we fly by seaplane to Admiralty Island and Pack Creek. This small island just 96 miles long has 1500 brown bears, one of the highest populations in Alaska so we are guaranteed to see a few. The indigenous Tlingit tribe call this island the Fortress of the bears. We then head back to Juneau late in the day and some great photo ops from the air. Then the next day onboard the Alaska Ferry System north from Juneau to the charming wee fishing village of Haines. Haines is surrounded by Mountains and an incredible sight as we sail into the harbour. That afternoon we will go searching for more bear sightings near the town. Last time we were there we witnessed a mother playing with her cubs in the river down below us as the shutters went into overdrive. 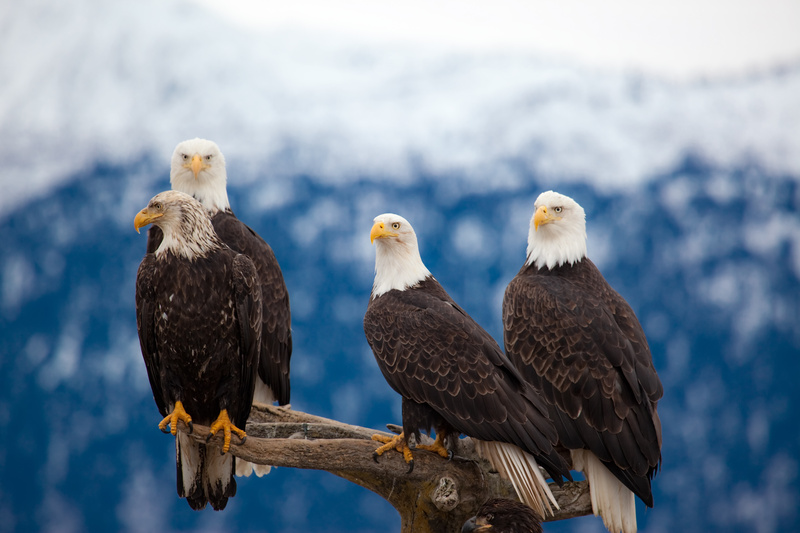 Haines is also home to thousands of bald eagles so we will have plenty of opportunities to photograph these giant birds. Today we will visit Klukwan a native village north of Haines where we will learn about the history and culture of the first peoples of this land. Today we drive north from Haines along one of the most scenic highways in Alaska to Haines Junction. 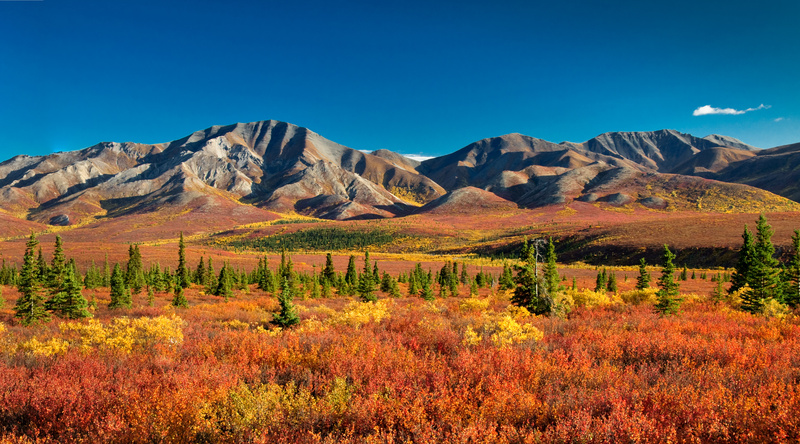 We will be stopping enroute to photograph the amazing scenery and then we enter the Yukon and the St Elias Mountains, one of the most stunning sights in this part of the world and part of the largest protected wilderness on the planet. For those who wish to, we can take an optional 30 minute small plane flight above the glaciers of this area. This is an incredible experience which will yield amazing photography opportunities and not to be missed. 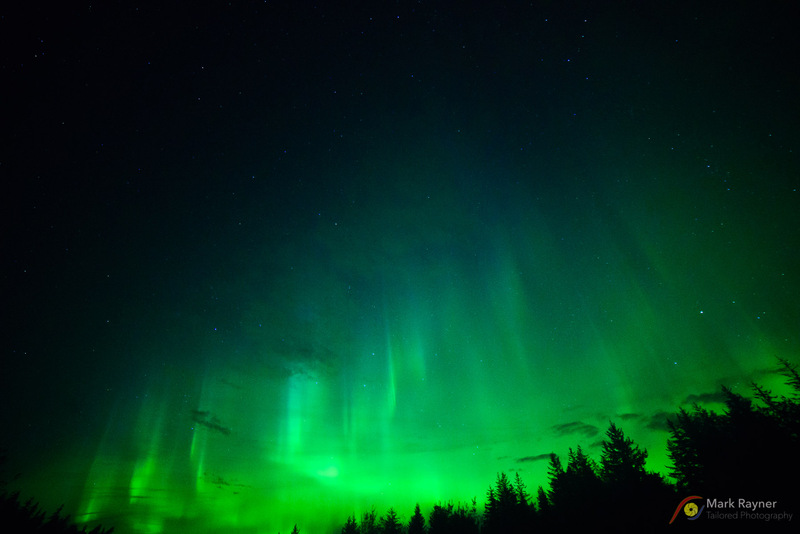 After an overnight stay in Haines Junction we travel along the Alaska Highway towards Fairbanks , renowned for viewing the Aurora Borealis or Northern Lights ! Along the way w will capture many wonderful landscapes in this mazing countryside. Today we continue along the Alaska Highway towards Fairbanks. This is a good time of the year to witness the Aurora Borealis phenomena and so we will be out at night with the tripods and wide angle lenses to capture some award winning images. We will have many opportunities over the coming days to get some unforgettable images as we head to another highlight and home to some of the most abundant wildlife in the US - Denali National Park. Denali is another gem in Alaska and one of the most photogenic places in the US. Expect to see Dall sheep, Elk, Moose, Eagles ,Grizzly Bear and if we are very lucky, the magnificent Wolf. Today we make our way to our final destination, Anchorage, to complete our tour. In summary on this workshop we will photograph a tremendous variety of subjects including a huge selection of wildlife including Whales, Bears, Seals, many kinds of marine life, birds including Bald and Golden Eagles, Elk, Moose, Caribou, some of the most stunning landscapes on the planet including towering Mountains and Mt Denali the tallest Mountain in the US, the scenic Alaska Highway, Northern Lights or Aurora Borealis, Native Culture, charming fishing villages, fly in a bush plane across the Alaskan Mountains and fiords near Juneau, taste delicious Alaskan food every day and meet some of the friendliest, down to earth people in the US. Check out day and depart at your leisure to meet your flights or connections. We will be travelling as a group in our own transport with the objective to hunt down and photograph the incredible wildlife such as Wolves, Grizzly Bear, Caribou, Eagles, Moose and other Wildlife. There will be a maximum of eight photographers plus David Metcalf and Mark Rayner. This will allow plenty of time to go over photography techniques and improve your photography skills. If photographing Bald Eagles, Whales, Grizzly Bear, Caribou, Wolves, Moose and many different species of birds takes your fancy, or some of the most wild and dramatic Mountain scenery on the planet, along with Glaciers, pristine flowing rivers, trees in the splendour of fall colours then you should join us on what will be an amazing experience. We meet in Juneau, Alaska on the 10th September. The tour finishes back in Anchorage on the 21st September . Cost for the photography expedition is USD$8300.00 single occupancy or USD $7500.00 double. •	Sea planes and other special excursions (except where stated). 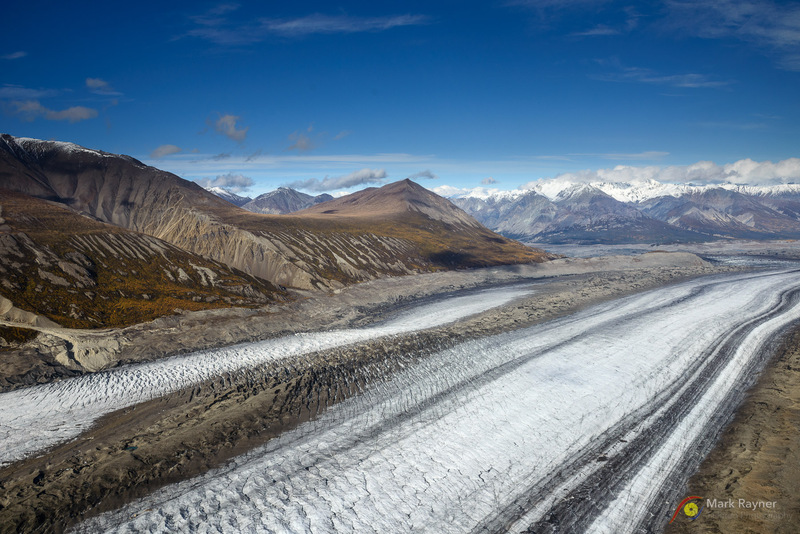 •	Flight over the glaciers in the Yukon.